We have developed our own methodology which includes numerous workbooks, original colorful illustrations to stimulate conversation, vocabulary flashcard labels, a placement test and several tests to assess individual progress. The program is very visual, entertaining and effective! We never speak a word of English. 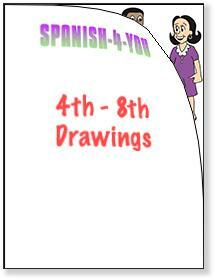 It takes a tremendous effort from our part to conduct a class entirely in Spanish even with beginner students. Students learn the same way little children learn, without translations. We use the immersion method so you will be "forced" to communicate in Spanish from day one. This seems intimidating at first but after a few sessions, it feels totally natural. 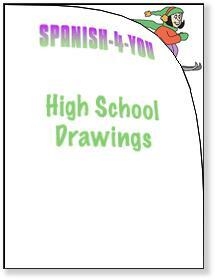 We show students plenty of ways to get their point across in Spanish when they don’t know much. The curriculum is fun and we use dozens of poster-size color illustrations to make it practical and enjoyable. We always work around our students’ schedule, no matter how busy it is. For private sessions, students do not need to take classes at the same day/time every week. Other agencies require a fixed schedule every week and they charge you if you change it. We have an unheard of flexible cancellation policy. Instead of the usual 24 hour cancellation policy, we require just 8 hours notice. For group sessions, we do need to have a firmer schedule but if the majority of students need to be absent one particular session, we will reschedule. With all the quality and attention to detail we offer, we could easily charge $100 an hour, but we don’t because we want to keep it affordable. We charge between $70-$80 for private sessions and between $80-$100 for semi-private sessions. Group sessions are inexpensive, and it is a great way to learn Spanish without affecting finances. One hour with us is the equivalent of 3 hours with any other program. 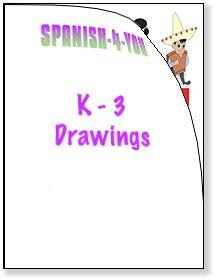 With our program, students quickly realize that it is not going to take them years to learn basic Spanish. As a matter of fact, from day one, students learn practical phrases that they can use right away. Most of our clients feel that they learned enough Spanish to get by, in the present, past and future with just 25-30 one-hour sessions (7-8 months of weekly sessions).